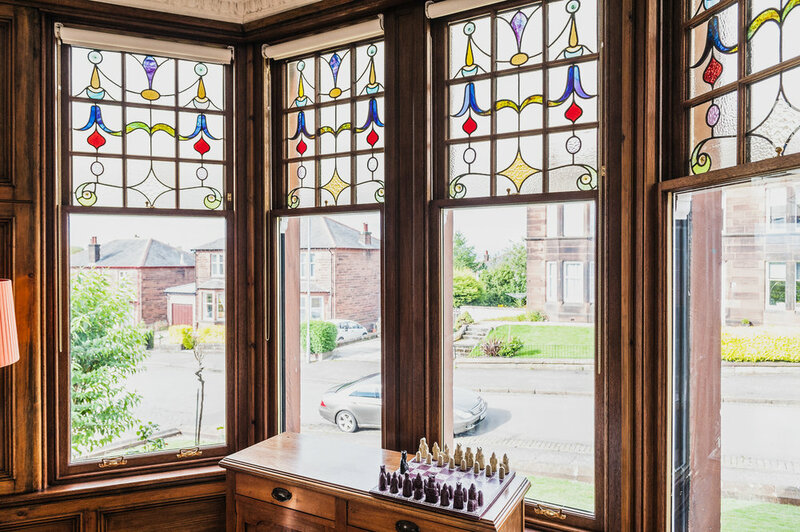 Mr. Moulson, a resident of one of Jordanhill’s impressive red sandstone semi-detached villas asked Preservation Windows to upgrade the sash windows of his period home. Built c. 1905, Mr. Moulson was concerned about the ageing sashes of his property after experiencing cold draughts coming through his windows. He also had beautiful single glazed stained glass that were creating a real cold spot in all the rooms. 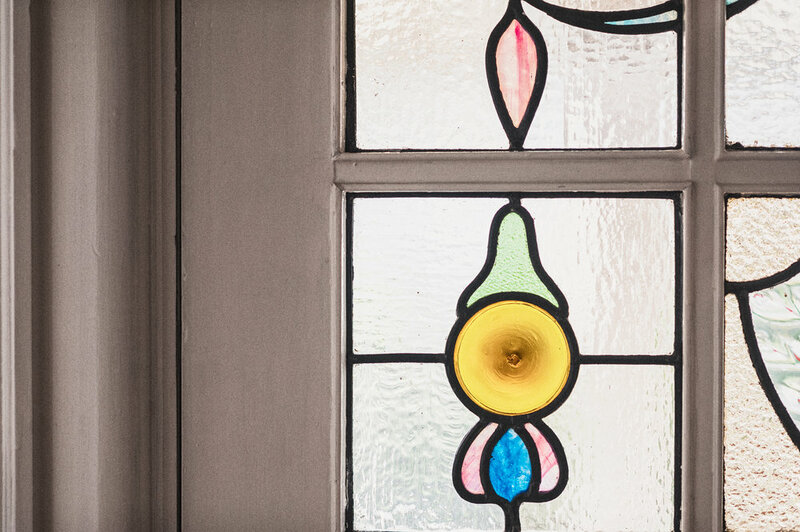 After carrying out a free no obligation survey of the home we came up with a solution to remove all the stained glass, carry out repairs and then encapsulate them into double glazed units. This allowed the windows to become much more efficient whilst still retaining the original aesthetics of the building. After establishing the extent of repair needed for the windows, Mr Moulson opted for bespoke replacements with the added bonus of double glazing to be made and installed. This eliminated those cold draughts, reduced noise and added value to his home. 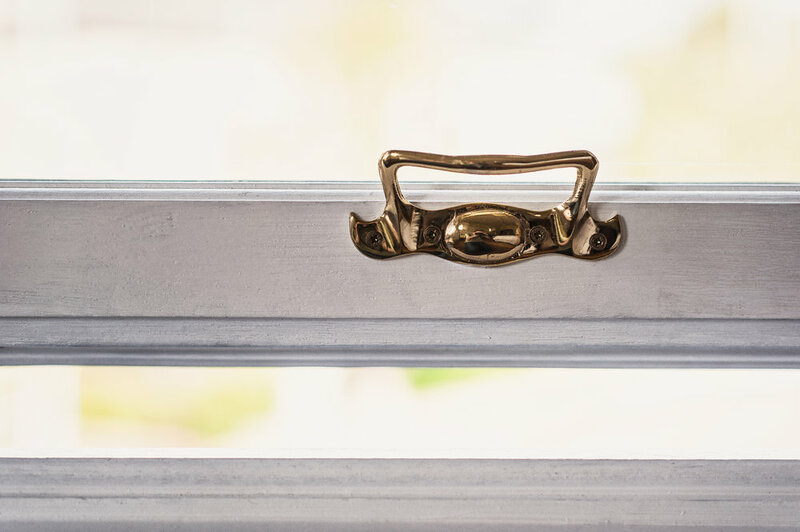 Mr. Moulson also opted for the Preservation Windows easy clean system to be installed to the first floor sash and case windows, enabling them to be cleaned and maintain for years to come. The expert Preservation Windows craftsmen manufactured 19 hardwood, bespoke windows in our workshop just outside of Glasgow. 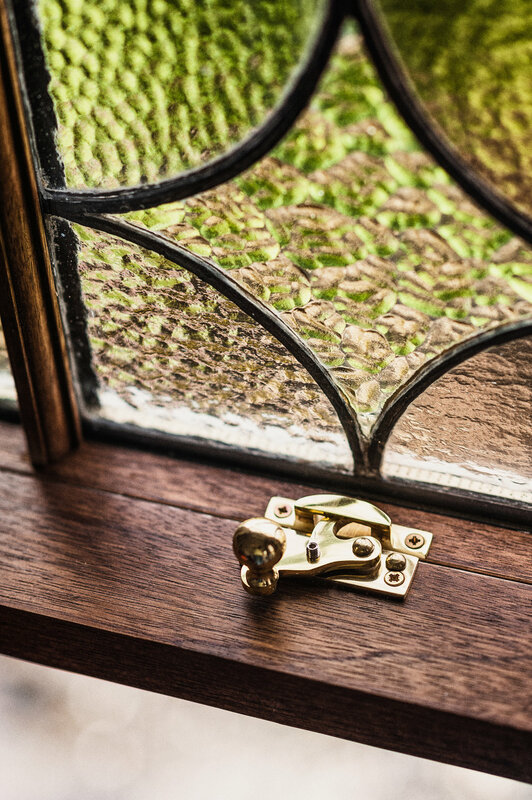 Once the windows were manufactured and ready to be installed, our team of experienced fitters arrived and carried out all works with as little disruption to the owner as possible. 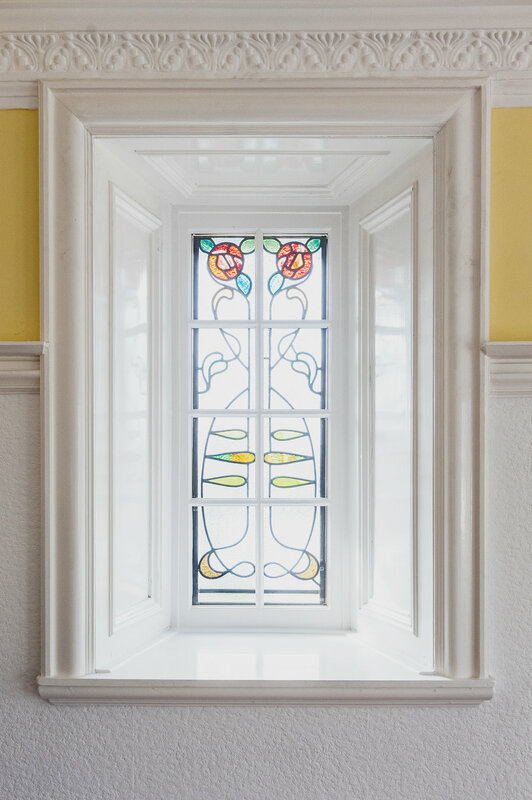 Over eight days the deteriorating original windows were carefully removed and replaced with the new bespoke replicas resulting in a spectacular finish. 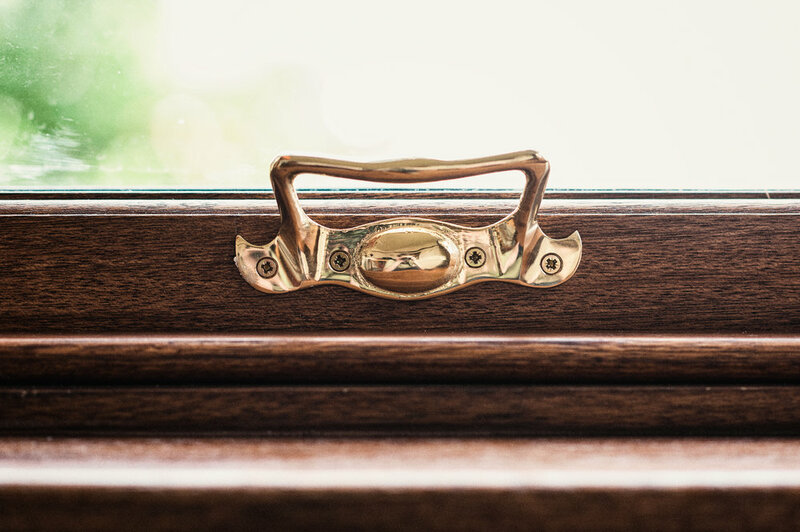 Preservation Windows offers a bespoke service from start to finish, working with you to restore your sash and case windows and elevate your home. For a free no-obligation survey and quotation, please call on 01236 729 924, send and enquiry to pres.windows@gmail.com or visit our website www.preservationwindows.com.